Carl: You owe me $80 for the Lakers ticket I got you. Tony: Oh yeah. 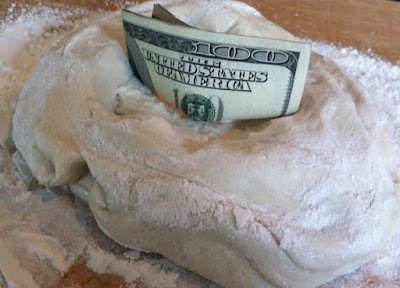 But I don't have any dough on me now. Let's go by the bank ATM machine and I'll get that money I own you. Bethany: I heard the restaurant you work at was super busy last night. Did you get a lot of good tips? Chrissy: Yeah, I worked so hard, but I didn't mind because I need the extra dough. 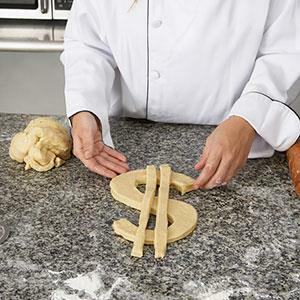 Meaning: "dough" is an American slang expression used for "money." 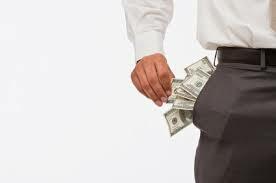 Tom: Did you hear about the new class action law suit against the Paypal? Chris: Yeah, but big companies like that don't care. Tom: You're right. They have such deep pockets that they can just pay people and move on. Jennifer: I heard that Sarah's company is sending all the employees on a free cruise to Hawaii. Kathy: Yeah I know! But don't worry. Her company has really deep pockets. They can afford it! 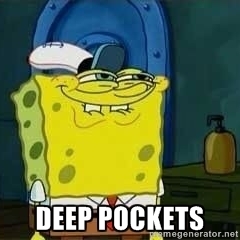 Meaning: to have deep pockets is an idiom used mainly for a company or corporation. It means that they have massive, almost limitless, financial resources.